At the beginning of William Empson’s 1935 landmark study Some Versions of Pastoral, he declares: “It is hard for an Englishman to talk definitely about proletarian art, because in England it has never been a genre with settled principles, and such as there is of it, that I have seen, is bad … my suspicion, as I shall try to make clear, is that it is liable to a false limitation.” Three things are interesting to me in this passage: first, that the pastoral is suggested as an historically unsettled term, a term potential of contingency and resistance; second, that the pastoral is identified as, or can be seen to have evolved into a proletarian literature, or vice versa — “I think good proletarian art is usually Covert Pastoral,” says Empson (6) — and third, that this evolution is prone to a “false limit” that can be used well or poorly. Empson’s provisional formulation attempts the extension of the pastoral mode fully into modernity — to see its commentary on class and as economics, and to see it as a drama of place. In this way the pastoral’s “false limit” — variously, its praise of simplicity, meditation on ease, the ideal state, a rural setting and the catalogue of its particulars, a city dweller’s/shepherd’s point of view, songs of shepherds, travels, etc. — is shown to be unusually flexible, working effectively a two-thousand-year critique of civilization that is also a class allegory strengthened by the bracketing “simplicity” of its ideal. Empson’s destabilization offers up a surprising range of takes — Celine, Milton, Brecht, Faulkner, Louis Carroll, etc. — generating a profitable lens through which to view the narrative of modernity, but it has to look back to get there. Radical pastoral, then, a translation practice of simultaneities, the complex in the simple, and vice versa, a dialectic that keeps the contradiction sufficiently tensed to arouse strong feelings around race, war, the factory, homeland, revolution. In a more or less subsequent manner this is more or less the argument Leo Marx offered over fifty years ago in The Machine in the Garden. That volume transplants the pastoral narrative to America, deftly plumbing the contradictions of our rural desires in this “last best place” while managing to largely disable the class critique. More false limit, or the false limit revised for the historical situation of a nineteenth-century new world. Evoking at once nostalgia and futurity, Marx’s formulation of America hangs on the uniquely “open” character of its horizon. A limitless landscape “devoid” of people, how is dominion not inevitable? But then there’s a steamboat bearing down on Huck and Jim, something faustian in our bargain with freedom. Marx’s complex pastorality both admits and critiques technology’s American demos; how, in short, the vastness of the continent magnifies the train. While this paradox is not the ostensible subject of this essay it’s important to note how legibly it is written upon the American landscape; everything from the whiteness of the whale to white flight to the suburbs inscribes the false limit of our abundance. In succession horse, train, car, and plane give projective size to what is manifest in our destiny. But there’s a commensurate shadow. Given America’s still-imagined plenitude, it seems clear that a Keystone pipeline or a new BP Gulf rig will configure an unsettlingly green narrative for the foreseeable future. For better or worse, this is equally true of our current literatures. Into the Wild was a huge hit; big-ticket westerns are making a movie comeback; Survivor: wherever is a TV staple. Philip Roth, Cormac McCarthy, Louise Erdrich, Denis Johnson, Don DeLillo, Toni Morrison, etc., these leading authors all make various use of the pastoral’s bracketing “simplicity.” The situation in poetry is not much different. Laureate poetry, or what Charles Altieri described way back in the mid-’80s as “scenic poetry” and “its concern for modest, highly crafted narrative structures producing moments of sudden illumination” in a natural setting, still holds sway in the Academy. We want our garden and we want nostalgia for our lost garden, an epiphany experienced in the garden. Just click on Safari to the latest episode of Revolution. Some versions of the apocalypse. However deadly the paradoxes of our errand, we continue to take them. This is troubling and hopeful both. But what to do? How to manage the excess of our rueful idyll? Two poets — Geoffrey G. O’Brien, early career, and John Taggart, late — both engage pastoral practices in radically transformative ways that offer fresh and unsettling versions for a new century’s green thirst. Specifically, O’Brien, in his second book, Green and Gray, and Taggart, in his twelfth, Pastorelles, variously interrogate the pastoral tradition as a viable means of not only writing poems, but engaging contemporary reality and its emerging environmental crisis. While admiring of the pastoral tradition’s mode of instruction and lyric agency, both poets question the inherent idealism attendant to it, and attempt, like Virgil, to politicize what is simultaneously a tradition, a genre, and a mode to “make it new,” or, failing that, leave it post. Both O’Brien and Taggart operate in a curiously dialogical manner that moves in space and time, reveals class paradigms, and erodes boundaries of here/now, utopian/arcadian, rural/urban, upper/lower, local/global, nature/culture, apart from/a part of nature, the pastoral, etc. Vibrant in their deterritorializing of the pastoral, their differences are dramatic, and their shared sympathies striking; what makes the comparison interesting is that each might be considered “necessary” to a sharp accounting of contemporary American avant-garde poetry. As such, O’Brien and Taggart offer an experimental pastoralism that is at once charged with a theoretically sophisticated — and American — language and recognizable as a lyric trace. Their relative disclosures of earth, the local, country, polis, city, literary tradition, etc. emanate from direct sensory experience while employing a larger allegory of pastoralism in ethically constructive ways. Yet they live on opposite sides of America, come from different generations, and have decidedly urban (Bay Area, O’Brien) and rural (Pennsylvania, Taggart) locales. Might the future survival of American poetics lie at its experimentally green edges? How is it that both Geoffrey G. O’Brien and John Taggart pursue the ethical case? And why do they turn to the pastoral tradition to source this sustainable futurity? I turn to Geoffrey G. O’Brien first because to me he is the most surprising. A young, urban poet, whose first book was called The Guns and Flags Project, you might not expect him to be of a green mind. As I hear it, the work rises out of Stevens, reaches towards Ashbery by way of Zizek; it is meditative, elegiac, imbued with the thrill and hangover of theory. Yet certainly, too, there is the ethical seed of a resistant lyric that works very hard to reclaim the behavior of both our metaphoric and literal “fields” of being. This, the opening lines of the first poem, “The Premiere of Reappearance”: “It is passionately in our lives, the smell of rain, / radiation of an oil through the middle of the day, / the taste abides, old fruit on a plate / but after so long the rind is clear” (3). In Green and Gray O’Brien makes more explicit the dependencies of nature and culture while maintaining an openness of address that makes this book seem, at first glance, poetry about American belatedness, exhaustion. This crisis rises as the wreck of late-Bush modernity, “Signs of effort on the face of the air / There are those who wait in longing to hear / and those around whom dead waves flow / It’s like twilight to be alive now” (“To Classes,” 90). O’Brien’s twilight accounting marks this effort as a species of Postmodern ennui. Yet it is the insufficiency of that response that marks the real ‘turn’ of Green and Gray. For out of boredom comes invention, and out of invention comes the discovery of a necessary subject. Nature, the summer, exists as an overwhelming inevitability which is nonetheless ephemeral; nonetheless ephemeral as the “cold coals of wildflowers, wars / at the centers.” Time and space are conflated through a geologic imagining that spatializes vertically as well as horizontally. Things spread out; all “deposition” is a politically charged activity. What is unfinished still “makes all this” and it burns up “from below” just as equally as across. And if everything is passing — both fleeting and acceptable — then everything is disturbingly new. is a parrot. What is the thing? a hill the color of sage and money. Here, Empson’s “false limit” is temporal; there is no past from which to sing, only the present song “headed in all directions no reason.” That it is headed somewhere, that it is momentous, is undeniable, and the vortexual sweep of this poem (and many of the poems in Green and Gray that employ anaphora, repetend, chiasmus, word sets, and ideolects) sweeps us along in “the remorse of the senses subtracted from experience” (“Logic of Confession”). I take O’Brien’s bewilderment as a genuine cri de coeur, elegiac, lamentative, but for our present utopia which seems so morally lost to us. I take this also as a preservational poetics that would economize its speech acts, the ecology of the poem seeking to preserve our sense record by repetition, insistence. This is important in the “proletarian” suggestiveness of class struggle, its alignment to environmental ethics, and how this might play as the particular challenge that “progress” imposes on our senses. soldiers, children, anarchy, time unapproachable. What’s astonishing to me about this poem — and many poems in the book — is the way art rises to artifact. The world is contingent upon the poem, too; this one’s called “Realia,” and its textual pleasure, both lyric and semiotic, produces another sensory experience — an apposite poem, even a metaphor, dear god — that could easily appear in one of O’Brien’s lists. I think of this as O’Brien’s lyric joy, his resistant metapoetics (virtually all of the poems are ars poetica), and the “working” possibility of song in a late-capitalist marketplace. There’s an economics to this writing. A poet makes things; ideas materialize the poem. And one thing resembles another, or is it replaces? 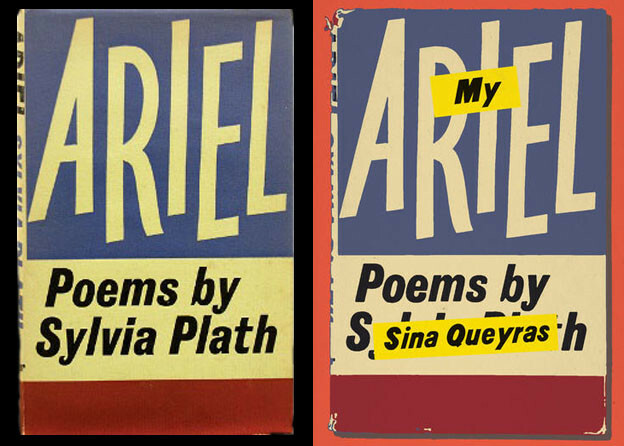 “After noticing a change in the meaning of the word / “ironic,” she sat at home making the air / flow around her exactly as before.” The pleasures of this poem, “Ajar” — its use of Stevens and its collapse of the metaphor of art to personhood (O’Brien makes a ‘she’ making “the air flow around her”) — lie in their endless game of replacement. The poem is so extensive as to be an opening (ajar) and something awry (ajar). A more immediate example might be the poem “Fountain.” Here, the poem is the fountain, a free space where similitude proliferates rhizomatically, line after line, poem after poem: “There is no such thing as the abrupt / Doubleness is the first plural / The abrupt comes in many forms.” An endless stream of replacements, “Again the bottom predicts a top / Fresh sources resemble each other / Goods are exchanged throughout the day” (34). That the poem is exchanged, is the pure product of language and of labor, is confirmatory, patriotic, and echoes — in many of the poems of Green and Gray — a committed (and various) American poetics from Emerson to Frost to Stein to Williams to Stevens to Ashbery. In this regard I like O’Brien for an Americanness that both positively and negatively utilizes American spaces. He is certainly an urban poet, but his sophisticated handling of lyric agency sings the café into the garden. And it is not simply an American impulse, or a postmodern impulse, to destabilize the binary scheme. Humanity’s course has always been green and gray. Utopia is everywhere. O’Brien’s innovation is precisely this erosion of the pastoral. What is perhaps more surprising — and here we find a principal difference between O’Brien and Taggart — is that the poems in Green and Gray rarely describe external reality. Or rather rarely describe an actual place from which ideas might be locally situated. Or rather rarely describe at all. O’Brien uses a phenomenological engagement with senses real and imagined, present and remembered, to produce a meditative stream of relations that rise to a disturbingly recognizable “supreme fiction.” These are often circulated through an idea (the troubadour, simulacra, psychoanalysis, excursus), a text (The Inferno, the Patriot Act, Gravity’s Rainbow, Aristotle’s Poetics), a person (Stevens, Lacan, Charles Fourier, Nietzsche, Celan, Gertrude Stein), or a procedure (accentual verse, anaphora, replacement, erasure). Always, to my mind, the pastoral ideal hovers behind the work, a ghost form that engages the “speakingness” of the poems. This echo is particularly striking in O’Brien, and is large part of my sense of its “instruction.” There is much commentary about weather, and a lot of calendrical notation (“Three Seasons,” “Spring Struggle,” “A Calendar,” “In Re Others”); there is a general querying of the garden (“Deer Isle,” “In Gardens Where Saints Meet,” “Sent Past Exhibits,” “At the Changing Villa”). And O’Brien plays pastoral’s paradoxical complexity as simultaneously a tradition, a subject, and a mode. Indeed, the first poem of the book, “Some Versions Of,” seems to even echo Empson’s famous book, and his sense of the pastoral’s endless proliferation. This sophisticated poetics variously enacts an erasure of the binary codes to which we are so addicted, and to which the pastoral tradition has relied. Not green or gray but green and gray. Yet we would never mistake O’Brien for A. R. Ammons or Pattiann Rogers. It is the surprisingly urbane means by which O’Brien dialogizes the pastoral that makes it so exciting and new. One of the more effective reconfigurations of the pastoral in Green and Gray involves lyric agency, or more directly, the shepherd’s song. Two poems tackle this rather directly. Here’s the opening quatrain of “Paraphrase of Aragon”: “I hear I hear the world is there / It passes from people on the road / More than my heart I listen to them / The world is badly made my tired heart” (6). Maintaining the quatrain patterning, O’Brien charges his song with a generally four-beat accentual pulse that generates a particularly insistent music. This is partly due to the address — found throughout Green and Gray — to the “men and women” of his time, and to his invocation of song itself as an ethical agent: “If not to sing then to hum with the sun / so that the shade is made more human”; and “I believe in it sometimes I acknowledge it to you / While not believing my ears / I am truly your similar / I am quite similar to you” (8). This strum of the lyre also gathers focus by a kind of aping of troubadour song. There’s something archaic in this accentual verse. And the poem is called, after all, “Paraphrase of Aragon,” such that the conflated echoes of feudal Spain, Catherine of Aragon, the private language of Argonese, the Dadaist play of the poet Louis Aragon, even the character Aragorn from Lord of the Rings, all gather to produce a unique and affecting music. is music, but that’s not really right. I take “the companion in the dark” to be the poem, or the poem’s addressee, or the poem addressing the world. The poem swells on its pronouncements of necessity, and on the speech act that crank its joy. Say, “To be happy I think of as / new editions of the same world / swelling or rising from a fur-lined machine”; and “I hear the nothing / I have to say until I begin … I am not / at a loss for examples”; and “it’s a parable of isolation to remember / the name of a painting while traveling /and a parable of sound to say it” (32). Ultimately, in this assured and startling second book, Geoffrey G. O’Brien evokes the possibility of an experimental poetics to unsettle our current thinking. Whether it be utopia, or a dream of a distant arcadia; whether it be a neopastoralism, or a post-pastoral urban mash-up of the wreckage of modernity, we are struck by the lyric urgency of these poems; they are parables of sound that reawaken our actual senses. These are crucially the source of any ethical application to the world, for they substantiate the body subject and activate its means of knowledge. As Raymond Williams sorted out, our country needs our city, and the city knows itself by the echoes of our country inheritance. O’Brien is urban, but he goes to the beach; he’s the city limit by which we remember our country song. As such, the urban present is the “false limit” from which to intuit the history of the pastoral. Green and Gray uses the absorptive capacities of capitalism and English to recalibrate our senses, and expose the ethical conundrums of the present tense. It is an exuberant speaker in these poems; it is speech acts and shimmering metaphors of a supreme unsettlement. O’Brien’s meditative present gives me an odd sense of hope. This seems equally true in his next book, Metropole, which I will mention simply for the quality of its extension. Much of the same poetics are at work in this book — the urban setting, (faux) sylvan groves, mortality, an emphasis on saying and singing, the passing of seasons, catalogues of plants and flowers — though formally the book operates quite differently. The most notable emblem of this can be found in the long title poem, which manages through a more or less iambic cantillation of sentences to augur material recognitions of cosmic facts: “The beaches overturn without a proper break” how “The sun revolves around the earth revolves around the sun.” Commuting, noting the passage of time, the faces of strangers, a public concern for the fragility of existence emerges from a collective sense of collapse. It may be the city, but it reveals our relationship to nature: “Funding now requires private lives embrace catastrophe … And yet the edge possessions cut in air provokes a thought of more can be relied upon. 8th Ave is blocked but yes, whole neighborhoods can be revisited” (97). O’Brien himself has noted the book as kind of fall into prose, with the title poem operating as a kind of ars poetica of how detached and belated the garden feels. Is this the fate of arcadia/utopia? Ghostly iambs haunting the train station of sentences? Geoffrey G. O’Brien’s radical taxonomy of American values is a trenchant perch from which to question our edenic inheritances. The repetition of too (seven times), time (five), dry (five), warm (four) and day (three) produce an insistent turning of the experience of drought; we sense it as duration, “a time of drought,” and acceleration “already too dry and too warm.” Yet we experience it ultimately as a poem, the lines spilling and repeating, phrase by phrase, a voice turning the concern. The irregular lengths offer counterpoint, an over/under cadence that pulses with alarm. Met with this interior meditation, we might expect the poem to move up and out into a global alert. Yet it resolves itself by a move back into the particular: “copper beeches / young leaves of the young copper beeches / shriveled up shapes.” It is not the general condition but the material case that’s visible. These are the trees of Taggart’s south-central Pennsylvania hit hard by drought in the 1990s. Place and time in the poem are occasioned by Taggart’s literal experience, and they manifest the compositional process in the repetitions of the poem. Whatever symbolic import we attach to the juxtapositional strategy of “Thales the Milesian/In a Time of Drought” it registers first as a local ambience. Taggart is no Eliot; a physical ruminant, turning the ground of the poem, he chants “these shriveled up shapes in the shapes of corpses.” In this way the “shapes in the shapes of clutching” that end the poem are as much the feeling of the trees as the feeling of the poem. Exchange, inhabitation, a readerly horizon opened by recurring sounds and motifs. Again and again in Pastorelles Taggart moves us back and forth between the density of the physical landscape and the associational field it generates. As a kind of pastoral anthropology, Taggart’s Pastorelles is always digging around, plunging into the farmscape. The serial poem “Not Egypt” accomplishes this adroitly, starting from inside Taggart’s home: “Turned sideways / window turns into pillars / shadow pillars and shadow porches / deep red valley in a valley way down in Egypt land” (13). Our eye moves sideways, out the window, onto the porch and down into a valley. The archaic syntax of “way down in Egypt land” suggests some mythic subject, or perhaps a Christian spiritual, especially as the subsequent lines are “shadows and habitation / of the dead.” Yet Taggart is simply observing the history of his place. Egypt turns out to be an unincorporated town in Pennsylvania, one of the oldest settlements in the state, and a crucial cement-producing area (Egypt cement built the New York City subway). Our readerly associations enter the poem as an extension of that anthropological instinct, neither right nor wrong, just activated. As the poem moves on through its five sections, Taggart uses specific features of the landscape — a stone wall, a shortcut road in the woods, redbud bushes, a steel plow — to trace the history of its uses. He discovers “dusk and dark along the road past Ramp’s stone house”; “tool and tools / to move through depths of a valley”; “wind / exhilaration of the fragrance of the flowers / by starlight”; and “the sweet cherry orchard / no longer there / not one tree of the orchard left to shake.” Signs of human inhabitation blend with natural processes, become natural processes, all “testaments of the dead / testaments of the unwrapped dead” (13). Poems like “Work,” “In the Kitchen,” “Rhythm and Blues Singer,” or “Henry David Thoreau/Sonny Rollins” explore the poetic labor as it analogously inhabits various portraits of people “woodshedding.” That each might be seen to have made a “sincere account” of their work seems to be Taggart’s ethical and economic concern, not to mention his American literary claim. Here is Zukofsky’s “objective”: “In sincerity shapes appear concomitants of word combinations, precursors of (if there is continuance) completed sound or structure, melody or form. Writing occurs which is the detail, not mirage, of seeing, of thinking of things as they exist.” Taggart’s ledger exhumes cultural figures, lost voices, private collections; we are instructed in the histories of our gardens. Good thermodynamics, labor is preserved in a vivid range of site maps. Correspondence is a question of local character, places to be sure, but also people and the objects that they make. Indeed, one of the pleasing discoveries of Pastorelles is the correspondence between the photographs on the cover — taken by his wife, Jennifer — and the poems in the book. Beautifully and spaciously produced by Flood Editions, there is a winking aboutness to this text that extends materially across sympathetic objects and landscapes. Yet we should not be surprised by this, as one of Taggart’s early projects, editing the seminal ’60s journal Maps, projected this materialist poetics from the outset. Yet the sound is more contrapuntal swing than Gertrude Stein insistence. Here it is the compulsion to repeat that discovers something. Music, as such, is a generator of the intertextual field. Taggart’s got a brilliant ear which increasingly syncopates the line and opens the page toward sources as various as African American spirituals, Sonny Rollins sax solos, country music, Sainte Colombe viola, the minimalist lyrics of William Bronk, or Lorine Niedecker, Charles Wesley’s Methodist hymns, Steve Reich’s polyrhythms, Robert Quine’s guitar leads, and the visual music of the painter R. B. Kitaj. Taggart chooses his subjects carefully; or rather the musical properties they explore are particular cadences, rhythms of thought, as much as sources of inspiration. And they continue to move. Thirty-seven of fifty-three poems in Pastorelles are serial. Their “limitless set of relations,” to quote theorist Joseph Conte, “take shape from the diverse ways in which items come together undetermined by external necessity.” It is perhaps true that the whole book is a series, or a continuation of the serial project initiated by Loop. The non-“Pastorelle” poems in the volume develop cases, sites, and correspondences, with “Pastorelles 1–15” operating as a kind of interstitial riff or refrain. Essentially open, improvisational, and aleatory in their placement in the larger structure of the book, they gain momentum from their sonically accretive manner. Yet an examination of the overarching forms reveals an intense sense of stanzaic correspondence, and a preponderance of subtle number games played into a kind of physical texture. Taggart’s repetitions are intensive — acting within poems — and extensive — acting across poems, and even books. In Pastorelles, recurring forms of the series (three to seven poems each) stretch our sense of increment; one hears oneself hearing this poem, the last poem. Themes and images as well as phrases leap across the book, and the book as a sustained activity is both radically destabilized and enlarged. Repeating gestures of sound and ideolect thus conserve their energies like living systems, books. Indeed, the organic metaphor is apt despite Taggart’s resistance to metaphor. For indeed, it is not a metaphor at all but a felt property of the poem. There is something so deeply musical about his poetry that he reverses mimetic sensibilities; we see, we have insight by the drone of the poem. It’s very literally a spiritual hymn and a devotional activity, a faith in the lyric tradition that is not sentimental but performed. As he says in “Rhythm and Blues Singer,” “words entangle us / words in letters of the alphabet the letters in written words” and “rhythm = the backbeat of all biological pleasures / blues = bad luck and trouble / to sing is to be untied” (48). Taggart reconstructs the local scene by minute attention; a new, presumably more compassionate and ecologically nuanced history might emerge from the Carlisle Indian Industrial School. It will be rebolted, “the plinth resting on / bolted to those stones.” There is something urgent in the lament; it calls for a new foundation. How shall we build it, “what can be done?”… “that music may enter as through a welcoming portal may enter this // air / among these pines.” It turns out all that lyric acuity might have an ethical application. In the carefully organized structure of the book we have an apt demonstration of an in situ thinking song. It is suggestively symbolic of where we might be headed. 1. William Empson, Some Versions of Pastoral (London: Chatto and Windus, 1935), 3. 2. Leo Marx, The Machine in the Garden: Technology and the Pastoral Ideal in America (London, Oxford: Oxford University Press, 1964). Class idyll, or Manifest Destiny, we seek a magnification in the pastoral. Marx’s genius is in showing that, despite this commonplace, the train, or technology largely figured, is exceptional in America. 3. This is Charles Olson’s argument as well in Call Me Ishmael (Baltimore: Johns Hopkins University Press, 1997): “I take SPACE to be the central fact to man born in America man, from Folsom Cave to now. I spell it large because it comes large here. Large and without mercy” (3). 4. Charles Altieri, Self and Sensibility in Contemporary American Poetry (Cambridge and New York: Cambridge University Press, 1984), 5. 5. Geoffrey G. O’Brien, Green and Gray (Berkeley: University of California Press, 2007). 6. John Taggart, Pastorelles (Chicago: Flood Editions, 2004). 7. O’Brien, The Guns and Flag Project (Berkeley: University of California Press, 2002). 8. Raymond Williams, The Country and The City (London, Oxford: Oxford University Press, 1975). 9. O’Brien, Metropole (Berkeley: University of California Press, 2011). 10. Taggart, Songs of Degrees: Essays on Contemporary Poetry and Poetics (Tuscaloosa and London: University of Alabama Press, 1994), 5. 11. Louis Zukofsky, Prepositions: The Collected Critical Essays (Middletown, CT: Wesleyan University Press, 2001), 13. 12. Taggart’s papers are housed at the University of California, San Diego. See the Online Archive of California; also of note is the Fales Library and Special Collections at NYU. The John Taggart Archive is a collection of correspondence Taggart received as editor of Maps from 1970 to 1974. Collection highlights include correspondence from Carol Bergé, Paul Blackburn, Hayden Carruth, Robert Creeley, Guy Davenport, Gary Snyder, and Louis Zukofsky. 13. Taggart, When the Saints (Jersey City, NJ: Talisman House, 1999), 2. 14. Taggart, interview with Brad N. Hass, Flashpoint, 2002. 15. Taggart, Dodeka (New York: Membrane Press, 1979). 16. Taggart, Peace on Earth (Berkeley: Turtle Island Foundation, 1981); Loop (Los Angeles: Sun and Moon, 1987). 17. Rochelle Ratner, “The Poet as Composer,” Paper Air, 1979. See also Karl Young’s essay at thing.net. 18. Joseph Conte, Unending Design: The Forms of Postmodern Poetry (Ithaca: Cornell University Press, 1991), 15.